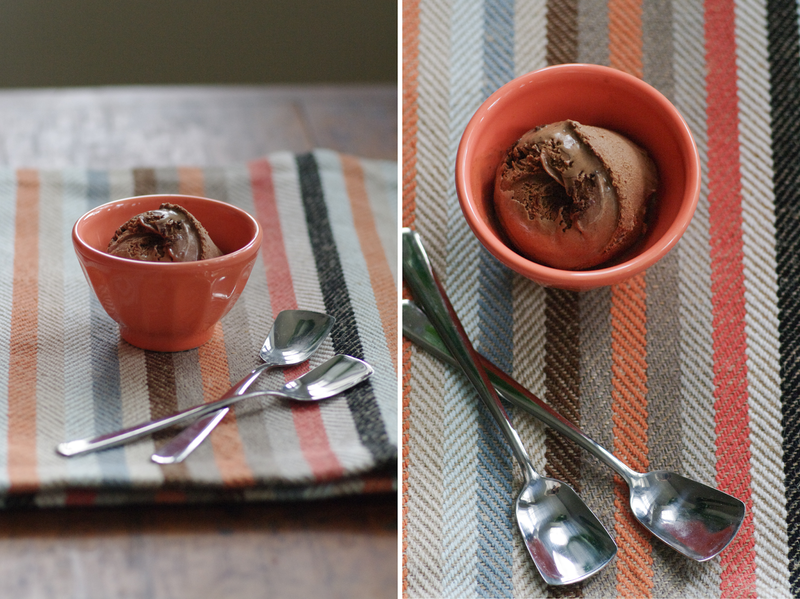 ice cream is one of our all-time favorite indulgences. 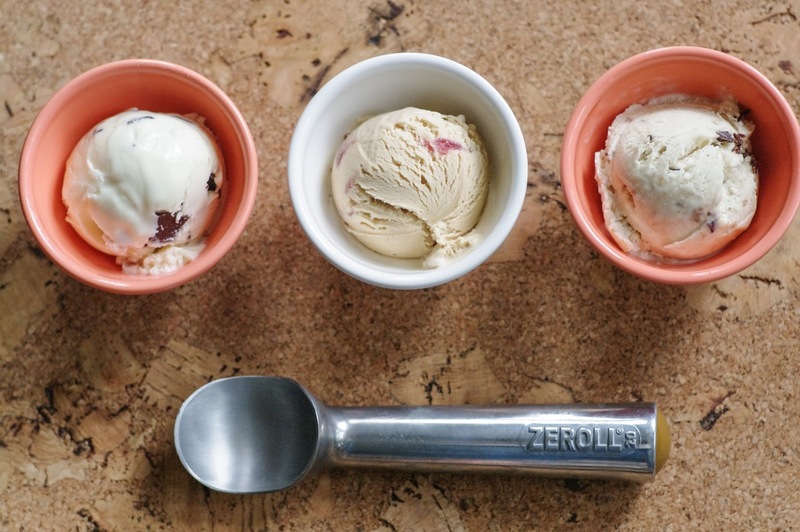 all the better when that ice cream is made locally, in small batches by talented (and incredibly nice) people. 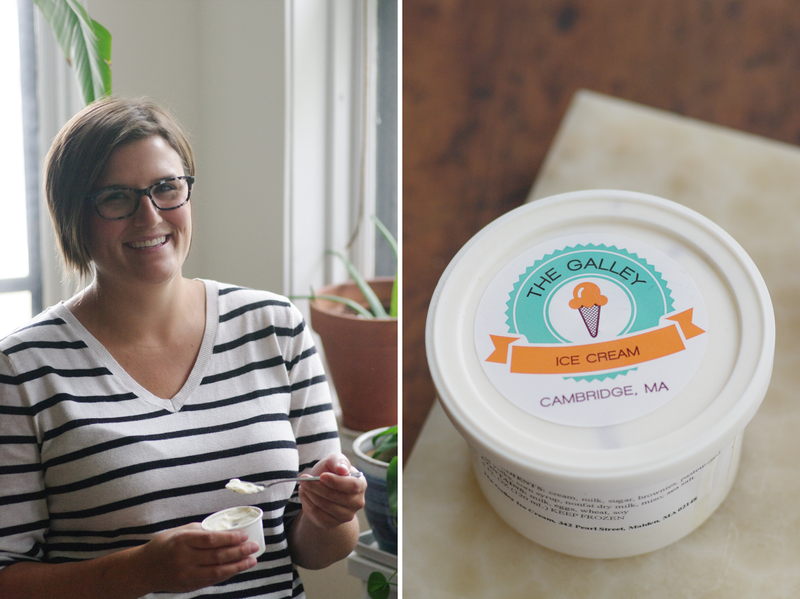 this is exactly the type of product that kelly williamson, founder of the galley ice cream makes. the galley started as a passion project based out of her cambridge apartment (with it's eponymous galley kitchen). 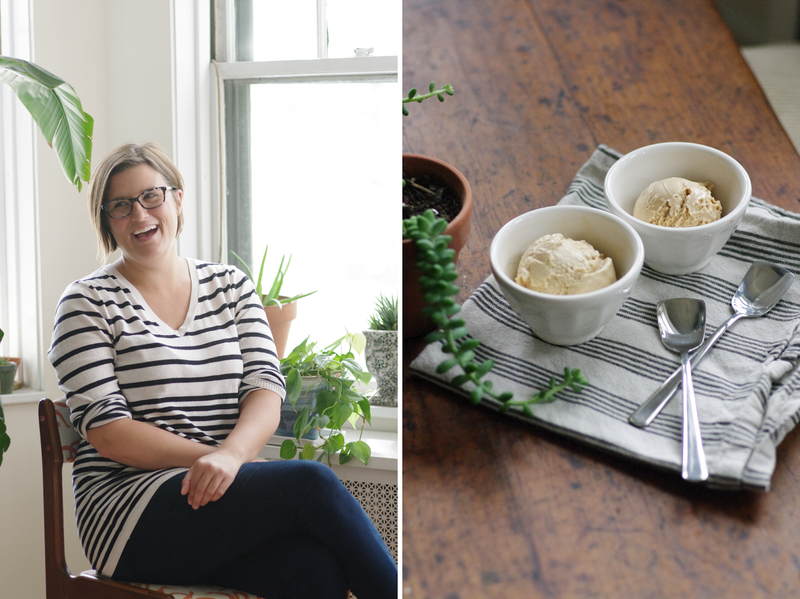 her delicious and inventive creations quickly found a fan-base, allowing kelly to pursue her dream full-time. 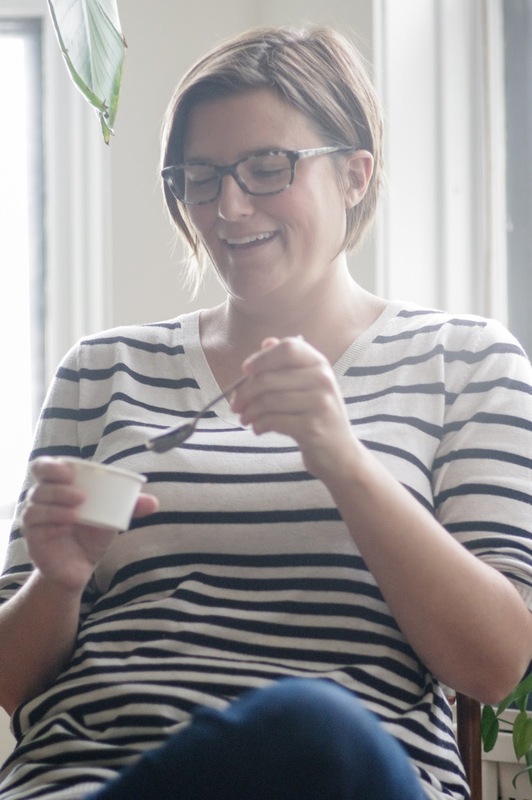 we were so happy to sit down with kelly to chat about inspiration and entrepreneurship - and to sample a variety of her incredible flavors! inspirations come from everywhere - talking to customers, seeing fresh ingredients at a farmer's market, the changing seasons, memories from a vacation, or sometimes they just pop into my brain randomly. one night i watched a documentary at 2am featuring various chefs from around the world and one made this amazing pie that's a british classic called "banoffee pie" and i thought 'wow that'd make an amazing ice cream' so i wrote it down and tested it the next day. you'll actually see it on our fall menu! i've morphed from a morning person into a night owl. being in the kitchen alone with my thoughts at night is the ideal time for me to get in the zone and get my hands dirty. the charles river. i live on it and on sundays when it's closed off i can take a nice long quiet stroll and go crazy with brainstorming. i usually bring my phone so i can jot down ideas. has food and cooking always been a part of your life? yes! i loved being in the kitchen as a kid, i had my own stash of cookbooks and took after school cooking classes. and now as an adult i love any excuse to eat or be in the kitchen whether it's classes, a supper club, or whipping up something special for dinner. i feel absolute joy and satisfaction being in the kitchen and creating something with my own hands. 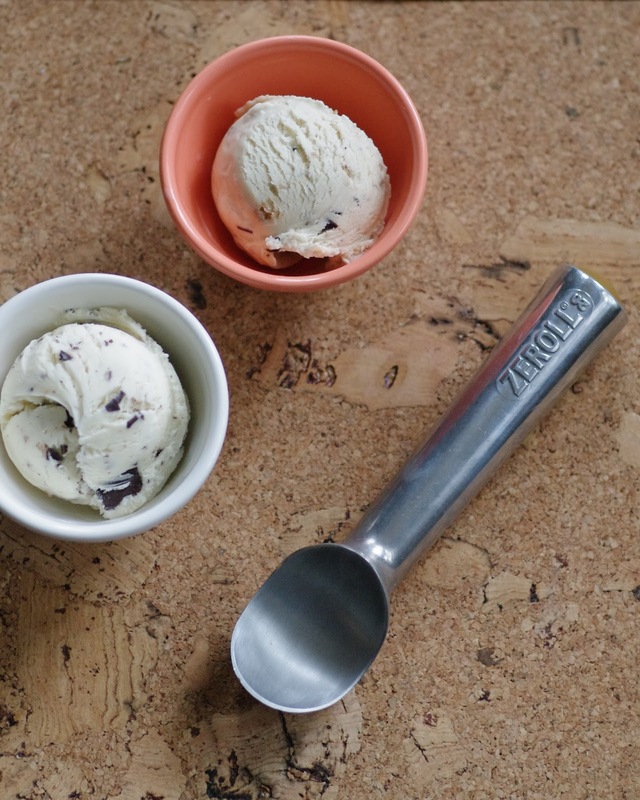 when did you figure out that ice cream was your calling? around the time i realized i started keeping a journal of ice cream flavor ideas and recipes. i figured i really enjoyed this new hobby of mine, but then realized it was a passion when i knew i put a lot of hard work into it, but it didn't feel like work. i kept coming back to it and ideas kept flowing. you've made the brave leap from a corporate position to starting your own business. can you describe some of the joys and challenges that you've encountered? my initial challenge while launching the business in its first season was to manage that, but also work full time at a day job. i was working 9-5 and then going to the kitchen 7-1 every day and it wore me out very quickly! i wasn't seeing friends and i wasn't sleeping or eating properly. but now that i am able to focus solely on the galley, i've never been happier. life has balanced itself out and this growing little business has my full attention! 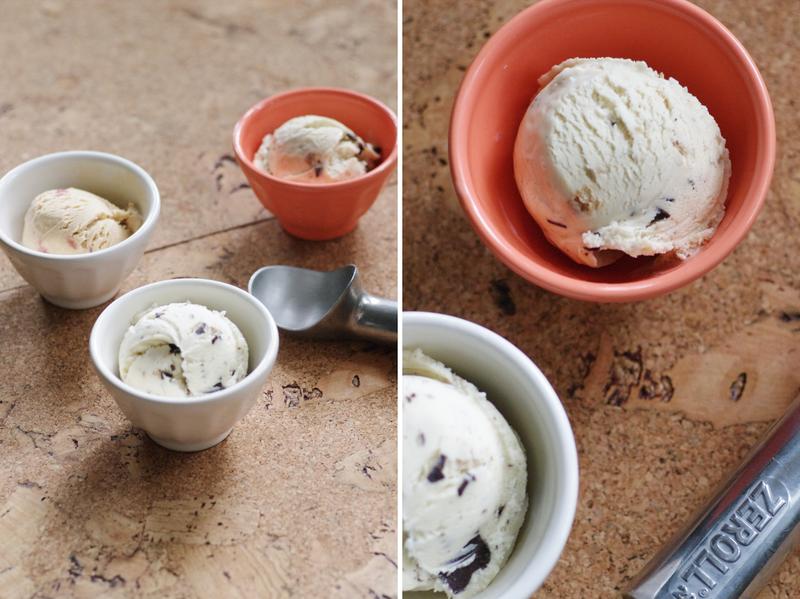 your flavor combinations are always so delicious and original. any great a-ha moments when coming up with them? do customers ever offer requests or suggestions? i have two a-ha moments that stick out in my mind. 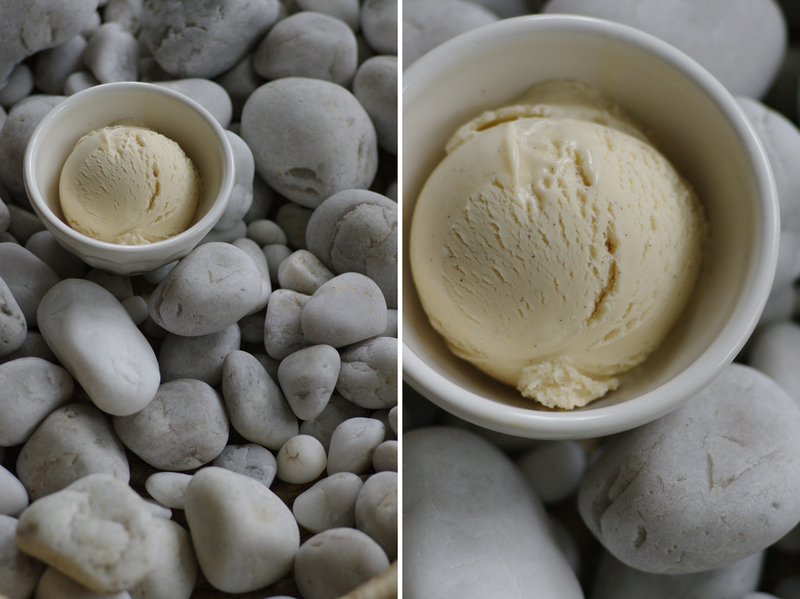 once when testing out tahini in ice cream as a nutty flavor rather than going with the obvious peanut butter. i mixed in some caramel and chocolate chips and it knocked my socks off. the other was actually just the other day when i tested out a new technique of toasting milk powder, which is an ingredient in my ice cream. 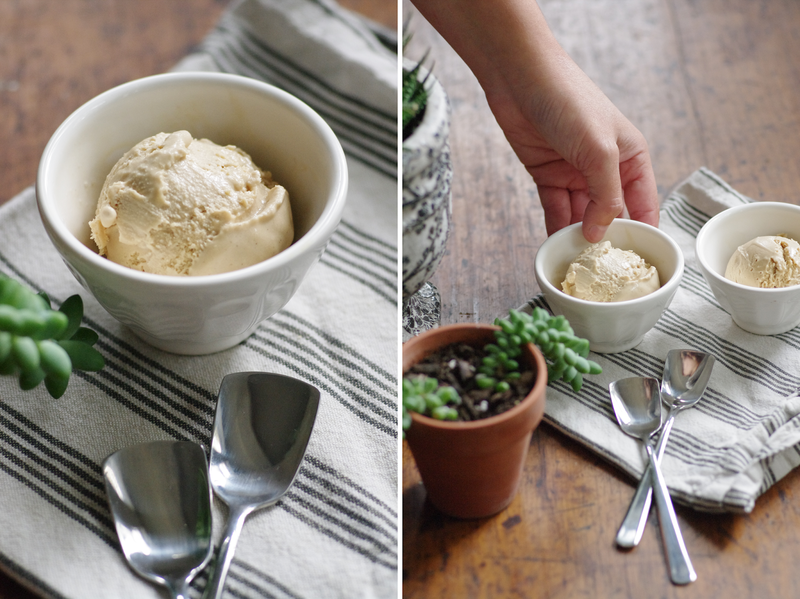 it's just plain old dried milk, but when you toast it in a pan 'til golden and then mix it in, it gives the custard this beautiful dulce de leche flavor. i remember being nervous to try it and just said "wow!". and yes, customers are always offering suggestions and feedback. it's super helpful and i love engaging with them to see what makes them tick. 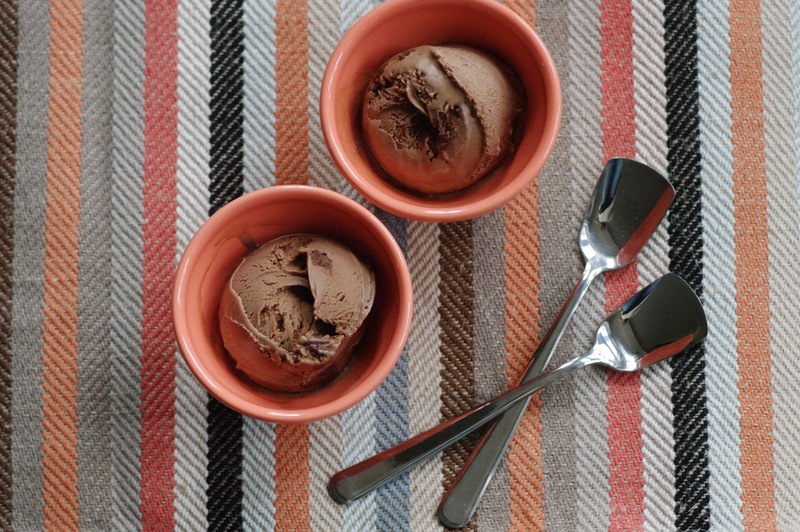 ice cream is a very personal thing after all! how do you see the galley growing and evolving? i think the best general piece of advice i've been given is to be confident and have fun. it's certainly easy to get caught up in the "what ifs". don't overthink things and trust your gut instinct. i have to remind myself to do this on a daily basis! 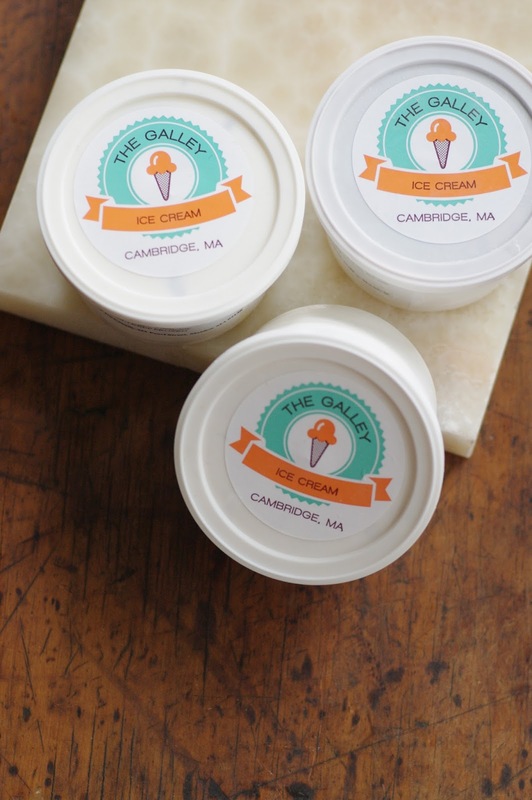 you can find kelly and her delicious ice cream at a number of local events. they also deliver, making it beyond easy to treat yourself! So cool! I love the Galley! Thanks Kaitlin. We do too!